Monday 29th June is a Staff Inset Day and students are not expected in school. “Following a very successful and continuous busy day we managed to raise awareness for the charity ‘My daddy is a Soldier Adventures’ but also an impressive £405.00. Considering we had three weeks in which to pull something together we were all pretty pleased with this result. This figure is rising daily so not quite confirmed until have all monies in. Cory took charge of the “guess the name of the bear” and “how many sweets” as well as dog tag and wristband sales. He worked all day with us and we are all excited to be invited to take part and we will, without hesitation, be returning to the AFD event again next year. Thankfully we will have more time to organise! TA were represented very well by our Year 7s with their performance of the novel ‘The Middle of Nowhere’ by Geraldine McCaughrean. 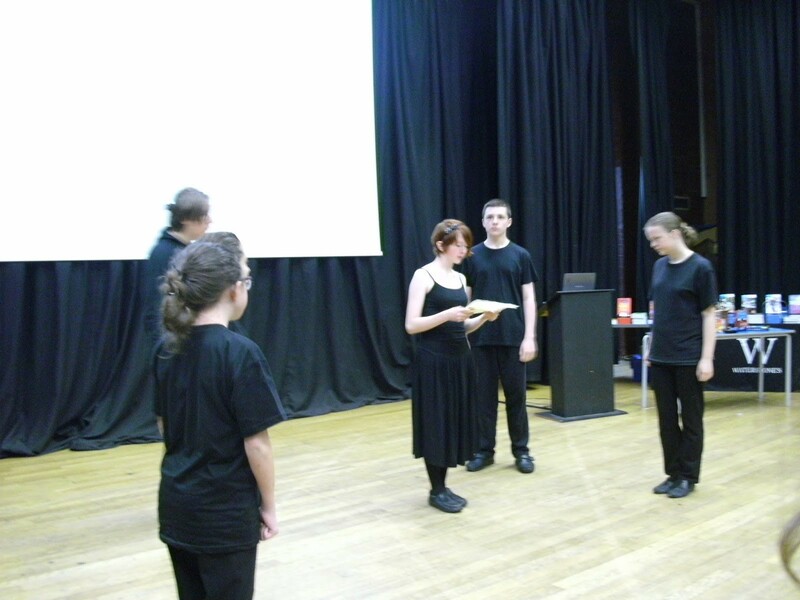 The 7 students involved wonderfully performed 5 key scenes of their interpretation of the novel selected for us. It was watched by 8 other schools in the Bay and also local novelist Phillip Reeve. His feedback was of praise and congratulations to the students. He said he had not seen that specific novel performed before so it was good to see, for the first time, with such energy. The students have been working really hard over the last few months; reading the novel, deciding on the parts they wanted to perform and also they have given up all of their lunch breaks for rehearsals over the last few weeks. It’s really inspiring and encouraging to see so many young people show their love of books and reading through their performances today. It’s very inspiring for the students to also have the opportunity to hear from a real author about his journey to becoming a successful writer and have feedback from him about their performances. Well done to all of you involved. 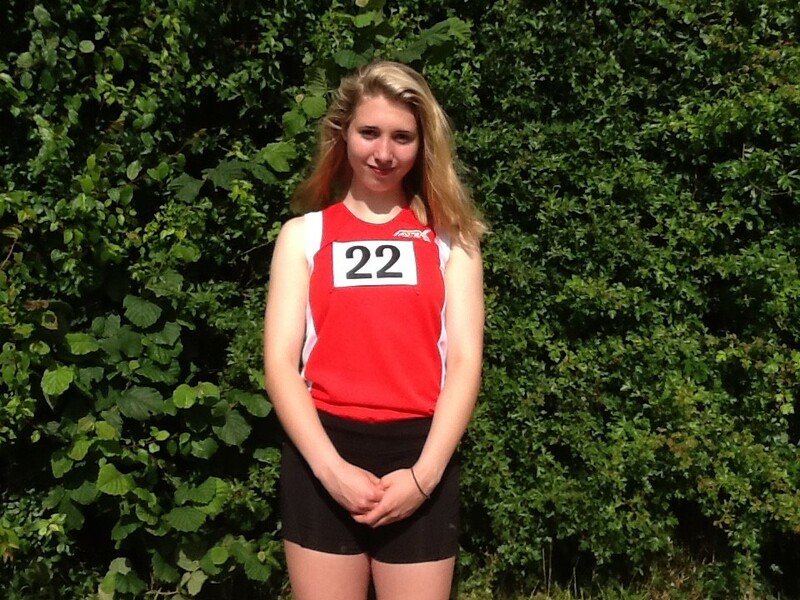 Elyse Leech took part in the South West Inter-Counties Championships as part of the Devon Schools Team. Elyse won her 200m heat and got through to final. She came second with a time of 25.78, just behind the UK ranked no 1 competitor. Elyse ran under the time for the English Schools’ standard in both races. This should put her through to the English Schools competition, which we should find out this week. She did exceptionally well. Congratulations, Elyse! 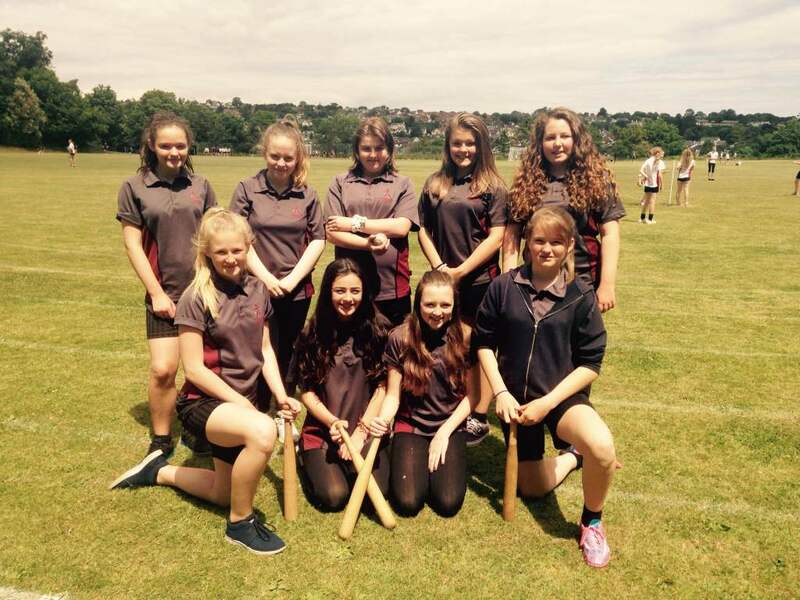 On Tuesday 23rd June, the Year 8 Rounders team travelled to Teignmouth to play in the Year 8 tournament. Our team included, Cerys Lyon, Kasey Lyon, Beth Rivers, Izzy Makinson, Gracie Clements, Gabby Baker, Keeleigh Grimes, Courtney Brown, Kayleigh Perrow. Our first match was against Newton Abbot and TA won 8-7. The player of the match was Beth Rivers who was back stop. Gracie Clements played really well on 2nd base and there was good bowling from Cerys Lyon and good batting from Kayleigh Perrow and Izzy Makinson. The second match was against Kevics, however TA lost 12 ½ – 10½ (it was a very close game !!). The third match against Teignmouth saw TA win 9 ½ – 4 ½. Gracie Clements played a great match in field and also got player of the match. We won our group which took us through to the quarterfinals against Kingsbridge. Sadly we lost our last match against Kingsbridge. The whole team put on a great performance and put in a lot of effort, thanks to Mrs Low for taking the team to the tournament. Well done to all !! The Year 11 Prom was held this week at the Livermead Cliff Hotel. The weather was great and students were able to make the most of the outside area for photos. The evening consisted of a dinner and disco. It was a lovely evening and a great way for the Year 11 students to end their time at Torquay Academy, we wish them all the best for the future. 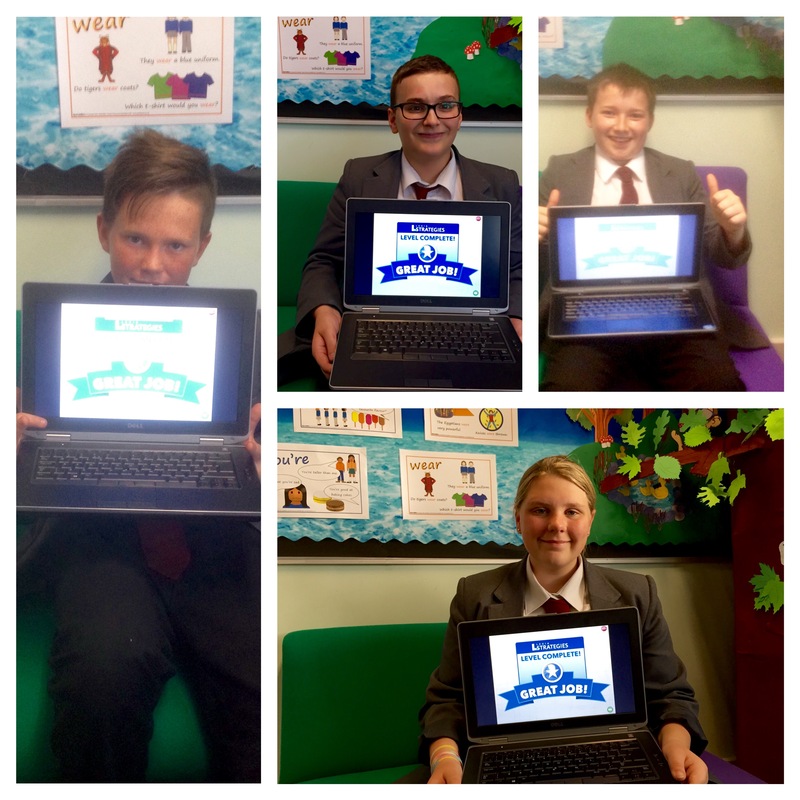 This last week has seen more students finishing the Lexia learning programme. As the end of term approaches there has been a rush of activity as students try and complete all five levels of the programme. Some have shown their dedication to this goal by giving up their time before and after school in an attempt to finish. The Lexia course helps students improve their reading, writing and language skills, through many topics including, vowel diagraphs, paragraph structures and even Latin. Congratulations to Harvey Lee, Harvey Johns, Marcus Robinson and Amber Moore. The Year 7 Athletic squad were in action on Wednesday at Brickfields, Plymouth. They had qualified to compete in the Devon Summer School Games. It was attended by schools from across the County. Every one of our 14 athletes competed with great determination and pride with superb results against excellent competition. Our standout performances of the day were from our Captain, Krisjanis Rumnieks and Ethan Bonness-Lewis. Krisjanis won both the 200m and javelin. The javelin was won with an astonishing 29m throw. Ethan won the high jump with a jump of 1.50m. This was an exceptional height from a Year 7 and gained an additional medal by winning “The spirit of the games” award. This was awarded by all the officials for his attitude in competition and excellence in his event. Anna Duffen, Christian Rodriguez-Palacios and Hayden Rowe achieved silver in their events. The Academy’s next athletics event will be at Exeter Arena on July 7th. They compete in the South Devon Schools area athletics championships. An assembly was held for the 2015 leavers on Wednesday with students coming back into school for the final time to be part of this. Miss Risk, Mrs Powell and Mr Pugh handed out awards and certificates to students and a video made by staff was shown to an appreciative audience. We wish our students all the very best for their future and look forward to welcoming the vast majority back into our 6th Form. Over the last two weeks we have been delighted to welcome our local Year 5 pupils into our school. Pupils have visited us from; St Margarets, St Marychurch, Ellacombe, Sherwell Valley, Cockington, Torre, Babbacombe, Ilsham, Barton, Warberry, Watcombe, Homelands, Priory and Shiphay will visit us in a couple of weeks. Pupils and staff have participated in a bespoke activity programme based on fun and learning, with all having an amazing time. These days have been once again a huge success and are invaluable in supporting the transition process between primary and secondary. Pictured: PCSO Martin Rushworth, Superintendent Glen Mayhew & PC Gus Honeywill, the local Community Constable for Hele & Pendennis. 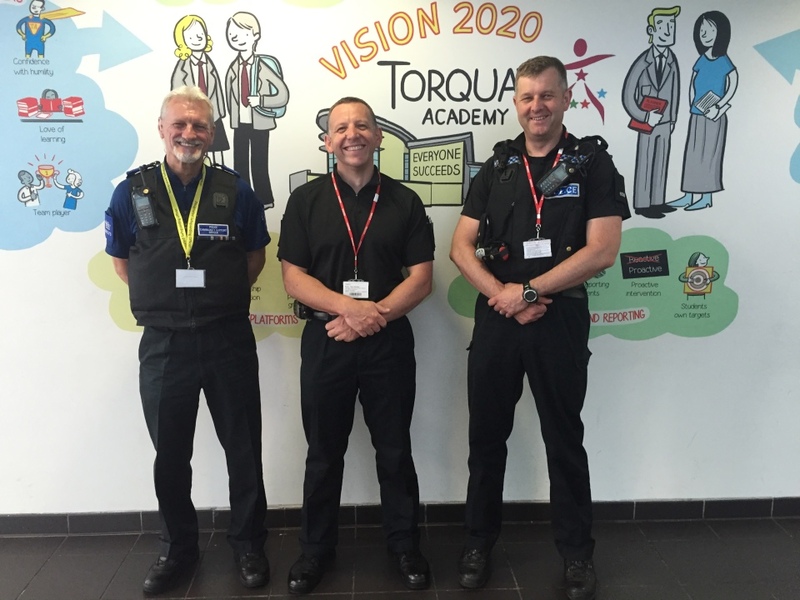 Superintendent Glen Mayhew, the Torbay & South Devon Policing Commander, visited the Academy to meet with staff, students and myself this week. Mr Mayhew was very impressed with the appearance and running of the Academy and commented on how polite the students were.